Chop tomatoes and cucumber into cubes, or whatever shape that pleases you. 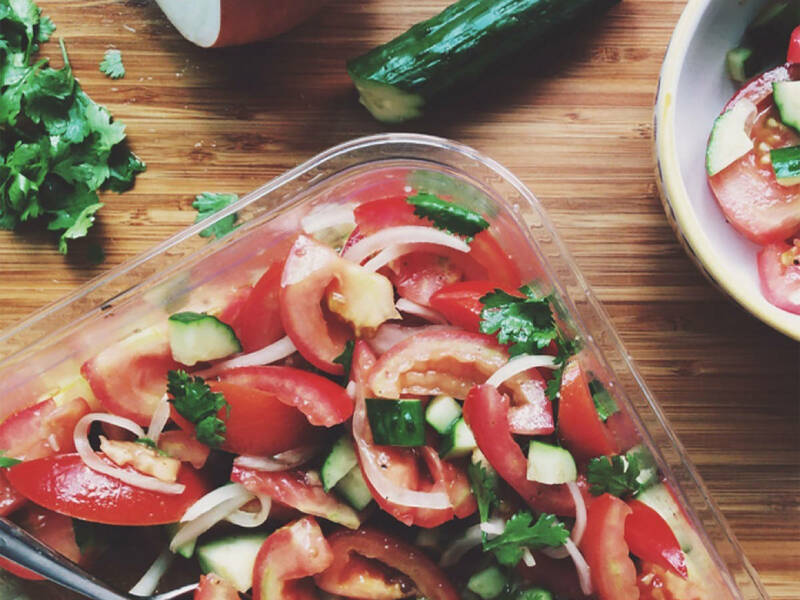 Mix tomatoes and cucumber with the pickling onions. Toss together. Roughly chop cilantro and feta, sprinkle generously on top.